Hazrat e Sayyiduna IMAAM HUSSAIN رضي الله ﺗﻌﺎﻟﯽٰ عنه is the beloved son of Sayyiduna Ali and Bibi Fatima رضي الله ﺗﻌﺎﻟﯽٰعنها. And the most beloved grandson of Aaqa-e-Do Aalam, Noor-e-Mujassam, Ahmad-e-Mujtaba, Muhammad Mustafa ﷺ. Hazrat IMAAM HUSSAIN رضي الله ﺗﻌﺎﻟﯽٰ عنه was born on the 5th of Shaabaanul Muazzam in the year 4 Hijri. After his birth, his milk mother was Ummul Fadhl Bint Haaritha, the wife of Hazrat Abbas bin Abdul Mutalib رضي الله ﺗﻌﺎﻟﯽٰ عنه. The Holy Prophet ﷺ gave Azaan in his right ear and the taqbeer [Iqaamat] in his left ear. The beloved RASOOL ﷺ then placed his blessed saliva [Lu'ab-e-Dahan] into the blessed mouth of Hazrat IMAAM HUSSAIN ﷺ and made Du'a for him. On the seventh day, He was named HUSSAIN and his Aqeeqa was made. The prophet ﷺ commanded Bibi Fatima رضي الله ﺗﻌﺎﻟﯽٰعنها to remove his hair and to give silver in charity equivalent to the weight of hair, as it had been done for IMAAM HASSAN رضي الله ﺗﻌﺎﻟﯽٰ عنه. 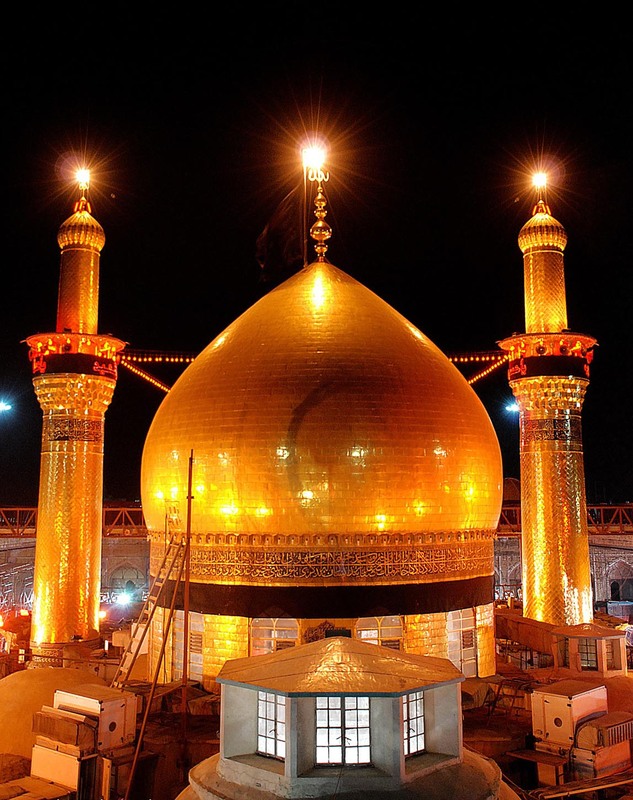 Hazrat IMAAM HUSSAIN رضي الله ﺗﻌﺎﻟﯽٰ عنه was without doubt a very handsome personality. From his chest up to the blessed feet, he was the picture of the Prophet ﷺ. He was so handsome and radiant, that anyone who saw him become lost in his beauty. His blessed face was so bright, that it would even shine in the darkness of night.